The Transition Team would like to thank all the volunteers who helped with Bob Dunham’s retirement party on May 20. CrossTies BBQ catered the event with delectable food, but we could not have done it without the help of UPC members and staff who gave generously of their time and talents by mailing invitations, arranging flowers, decorating, taking pictures, entertaining children, directing people into the event, and greeting them warmly at the door once they arrived! 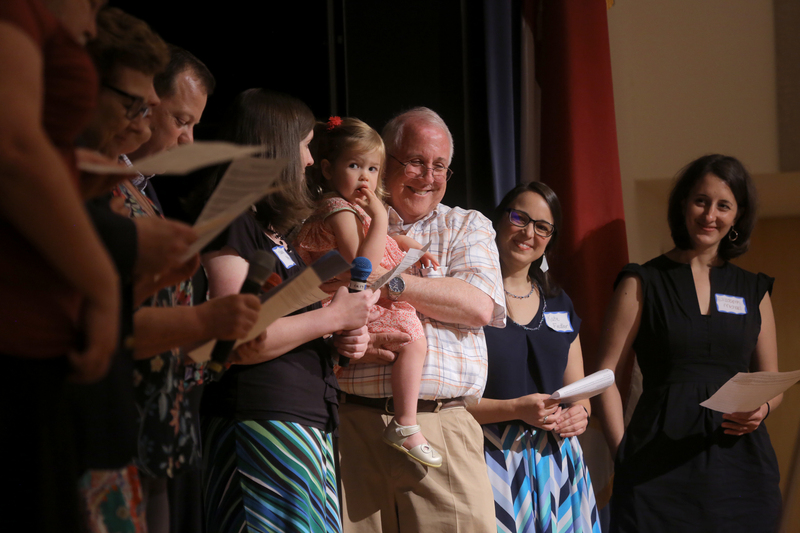 We all enjoyed the wonderful program and presentations to Bob and Marla but the greatest gift of all was your love that overfilled UNC’s Great Hall on Saturday and our Sanctuary on Sunday.